In a cell, structures in excess of 20nm require energy-dependent motility to travel through the cytosol. 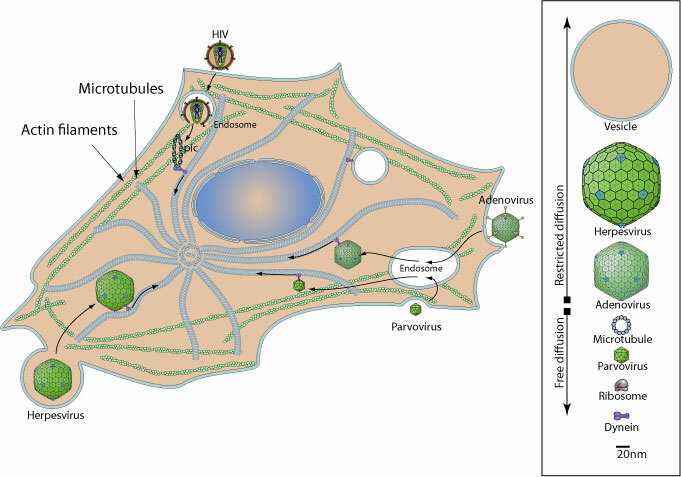 Therefore viruses with entire capsid or large genome entering the cytoplasm utilize molecular motors to move through the cytosol. The majority of viruses use microtubules but some have been described as using actin cytoskeleton .